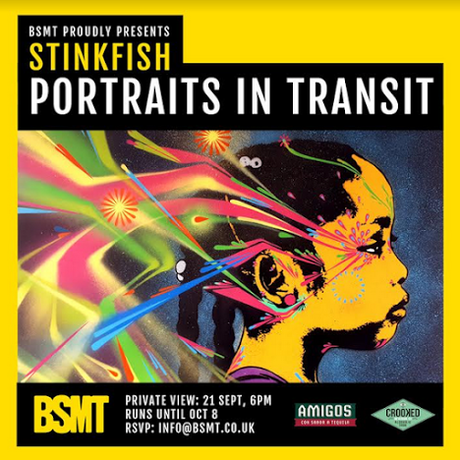 'Portraits in Transit' is a story of the journey of his works, portraits that come from the street and transcend these spaces to return to the street. They are ordinary people captured by photograph, their image translated into his signature bright color palette and re-imagined in a new context. BSMT SPACE is open Tue -Sat 12-7 and Sun 11-5. You can find us at 5d Stoke Newington Rd, London, N168BH.